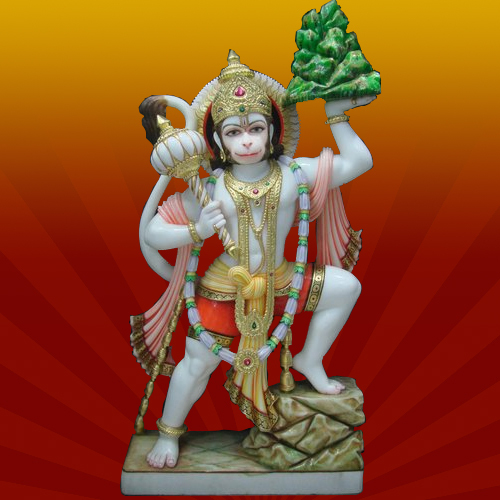 We are becoming the leading name in designing and manufacturing a gamut of Marble Hanuman Statue. 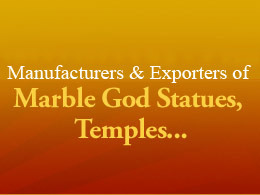 Owing to our progressive approach to design and innovation, we carve these statues using best quality marble. The shining face infuse the feeling of spirituality and strength in devotees. 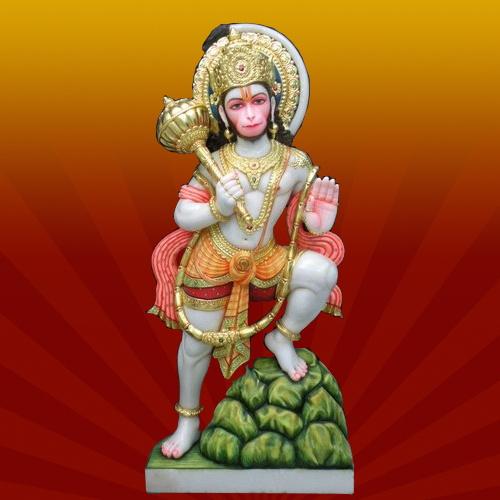 The statues are intricately carved and provide artistic look with detailed design. 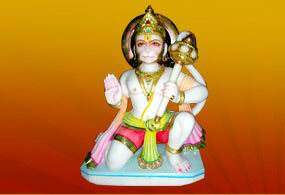 The Hanuman ji Statue presented by us showcased him in sitting position with right hand in Abhay mudra(gesture of protection). The intricate carving on the statue makes the appearance calm, lively and peaceful. The marble is finely cut and finished to give perfect finish. 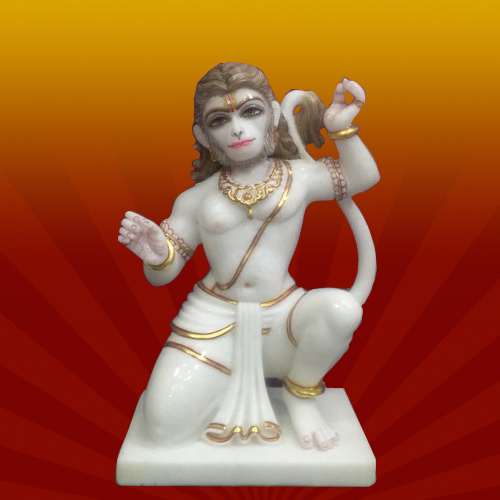 Exhibiting the creative talent of our craftsmen, we offer Marble Hanuman Sculpture. These statues are considered as the representation of endless devotion and the foundation of intellectual ability, hope, fearlessness and knowledge. These are securely packed to ensure safe delivery. 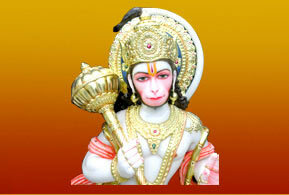 Lord Hanuman ji is considered as the symbol of eternal devotion. We offer an assortment of statues with excellent artistry and faultless finish that leaves the people inexpressible and spellbound. The intricate carving and minute etching depicts the calmness and quietness with perfect finish. 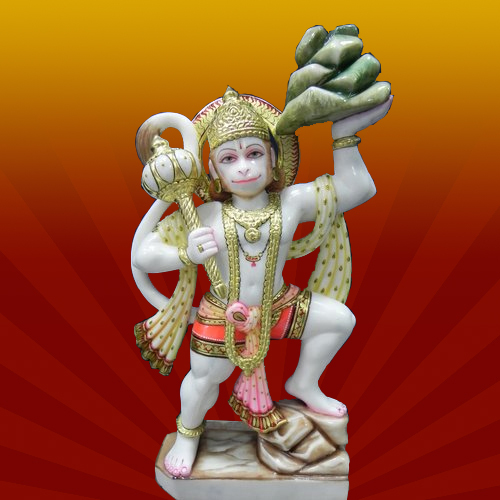 The Lord Hanuman Statues offered by us are carved beautifully and reflects the meticulous craftsmanship. 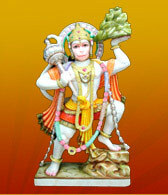 These Hanuman statues strongly attracts the attention due to their artistic look, smooth edges and reflective finish.